Venturing into entrepreneurship can be frightening. It is a world of unknown that even the most courageous among us are sometimes afraid to go into. But there are a few that refuse to accept the status quo. Kezy Mukiri fits this group. Mukiri is the founder and Chief Executive of Zuri Events, an event management firm established in 2007. 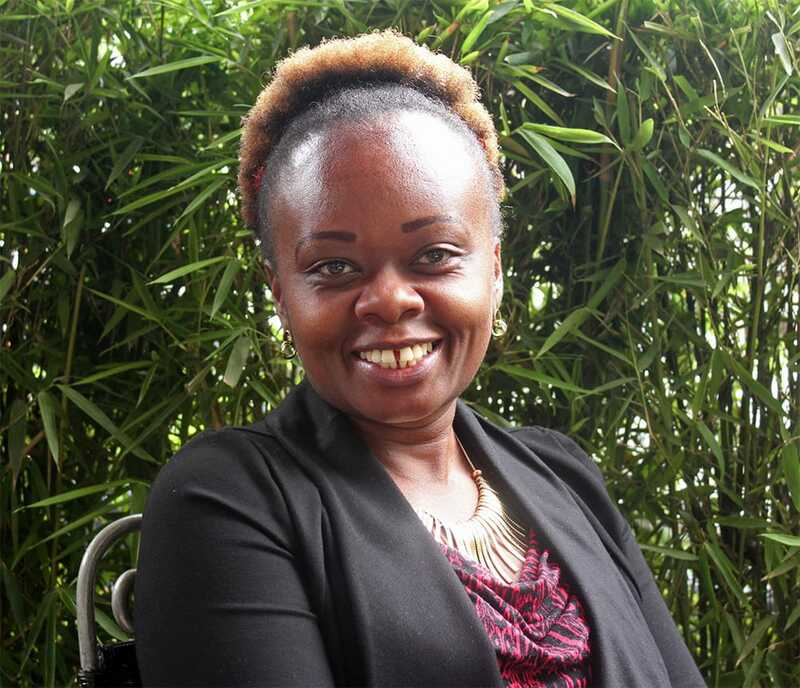 A litigation lawyer by profession, Mukiri served as a partner at a local law firm in addition to serving the High Court of Kenya for three years. While serving at the High Court, she began to have second thoughts. The prestige of practicing law began to wear off and she thought of charting a different path. It was obvious the move would raffle close relatives the wrong way. Her parents would hear nothing about the decision. The timing of the move was tricky. It was during an election year. In Kenya, election year is often marked with slow business and uncertainties. The main challenge for Mukiri and her business was that some of these ‘scared’ investors were her potential targets. Her business was partly to target some of the companies looking to either launch their services or exhibit their products in Kenya. Zuri Events conceptualizes and manages conferences and exhibitions, plans corporate events and offers consultancy services to a range of clients in East Africa. It engages in strategic partnerships with a network of partners spread across Africa, who have enabled it manage corporate events in Rwanda, Tanzania, Uganda, Ethiopia, South Africa and Kenya. “We believe that an event is merely a platform for the expression of a brand. Every corporate organization is unique. So, we view every event that we do as a platform for the expression of corporate strategy,” Mukiri explains. She adds that her company is more interested on the extent to which the event meets the objective of the client. This starts from conceptualization, understanding the product, studying the market and finally tailoring the event to match demands of the target market. October last year Mukiri’s firm celebrated its 10th anniversary; it recounted its success story which highlighted on the more than 10 clients from different countries including Japan, USA, South Africa and India, among others it had served. Zuri Events workforce has also grown exponentially, from just one in 2007 to 26. Out of these 16 full-time employees while the remaining 10 work as interns. Accommodating interns in the company’s operation was realized through the firm’s recent collaboration with Technical university of Kenya (TUK), where the university supplies it annually with students for industrial attachment. Over the recent years the firm has also diversified its services accommodating more offers. Today its services also include event branding, brand management, public relations and destination weddings. It manages trade shows, conferences, product launches and corporate meetings, among others. Among events the firm has handled include Equity Bank’s Wings to Fly programme, an event it has managed over the last seven years. Others are SME Fest, a convention of SMEs in the continent and Super sales Initiative by Export Processing Zones Authority. To play a role in environmental management, the firm has developed the concept Green Events. The concept, according to the CEO, aims at helping clients minimize negative environmental impacts. Green Events offers our clients an alternative waste management and control solutions during the functions. Despite the firm’s growth in the industry, Mukiri is concerned that Meetings, Incentives, Conference and Exhibitions (MICE) sub-sector is not growing at the pace it should. This is despite its potential to boost the local tourism industry. Her claims are backed by the Global MICE Summit (GMS), an association of MICE stakeholders in Africa that reports that Europe dominates MICE market. Europe accounted for more than 42 percent of the market share as at 2016. South Africa led Indoor Exhibition space in Africa by 29 percent; this despite Kenya’s strategic position to the world and availability of some of the best convention centers in the region. “Government should start having a rethink on its marketing strategy for local tourism. The value of expenditure by a single conference tourist is five times that of a wildlife or cultural tourist. Now that wildlife and cultural tourism is a common traction in Africa, it’s imperative that government focused on promoting conference tourism,” Mukiri says, referring to the oncoming global MICE event her firm plans to host this November as a benchmark.